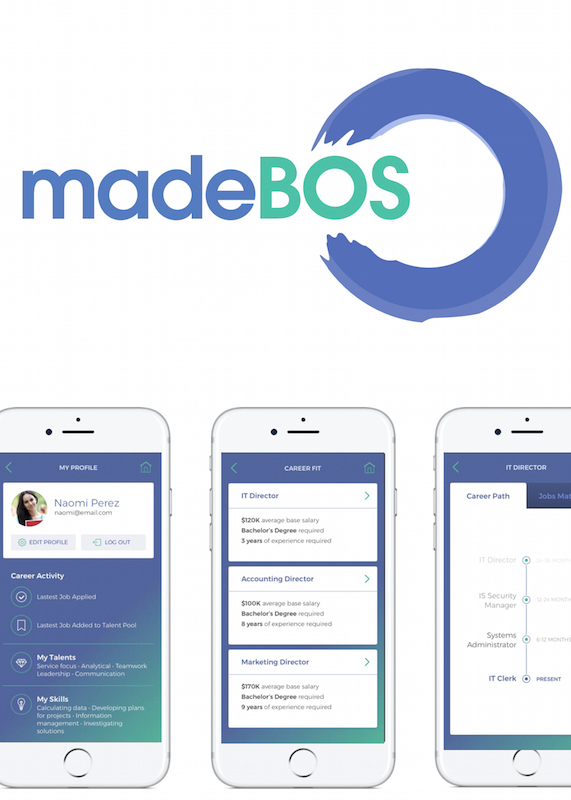 madeBOS (made by own self) is an AI driven, career pathing platform that empowers employees of entry-level jobs, to drive their own career development. madeBOS delivers a configurable and customizable solution to address retail's short and long-term talent strategic goals and leverages Machine Learning to curate attainable career paths increasing diversity, engagement, retention and performance. MARTHA | "I am grateful for the opportunity to share the madeBOS vision and to potentially join a community of resources that will expedite our impact. Thank you so much!" Republic :: February 2018 :: "madeBOS Founder Story: Democratizing Opportunity"
Forbes :: December 2016 :: "Should Silicon Valley Latino Business Leaders Launch A National Federation?" Mogoldum :: May 2018 :: "What Inspires Entrepreneurs Who Use Tech To Promote Equality? Here’s 1 Story"
Modern Latina :: July 2017 :: "Featured Latinas: Martha Hernandez Visionary Behind madeBOS"
Black Enterprise :: November 2016 :: "Kapor aims hack bias Silicon Valley"
Republic :: February 2017 :: "Founder series: Interview with Martha Hernandez, founder of madeBOS"